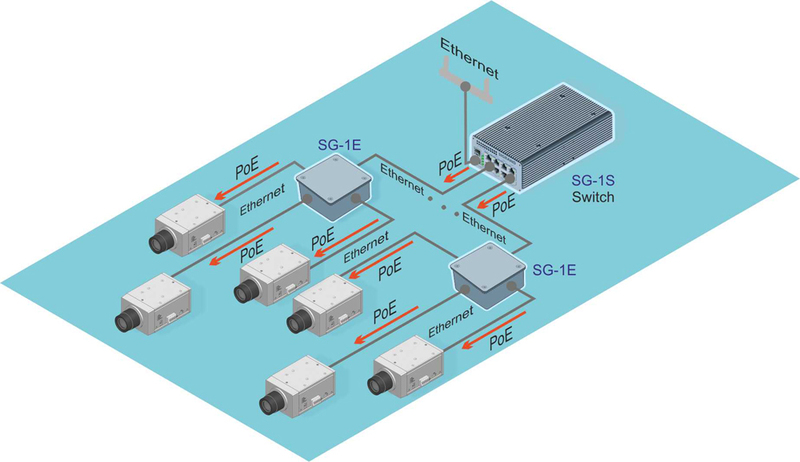 PoDSL technology to connect and power the IP cameras for long distances. SHDSL G.shdsl, ITU G.991.2 - one of the xDSL technology, provides a symmetrical two-way data transmission over a pair of copper wires. When using the coding methods TC-PAM128, it became possible to increase the speed up to 15.2 Mbit / s over a single pair. To power the SHDSL devices we used a constant voltage 240V on the signal line. 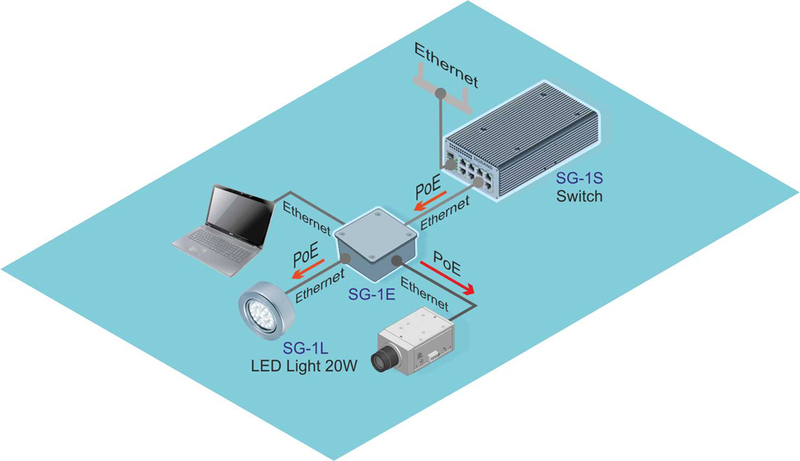 This allows to power the camera with a modem at the distance of 8 kilometers and receive video at 1Mbps / c, for twisted pair cross-section 0.5mm. Power over DSL is a technology for power SHDSL devices via the signal line. Table line speed versus distance for a bunch of modem SG-17B-261 and camera SG-1C-111, powering over PoDSL from module MS-17H4P2. Table line speed versus distance for a bunch of modem SG-17B-261 and camera SG-1C-121, powering over PoDSL from module MS-17H4P2.